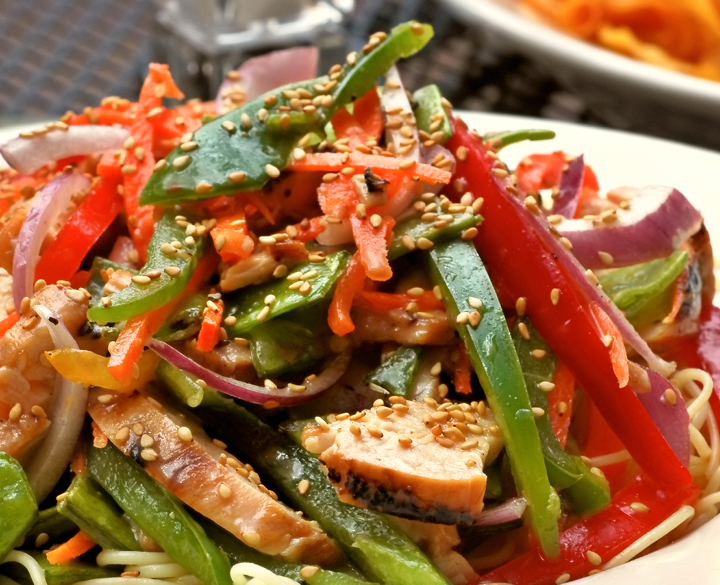 Try this delicious recipe using our Ginger Sesame Dressing! Add dressing mix, sesame seeds, oil and rice wine vinegar to All Dressed Up Shaker and mix well. Combine bow-tie noodles (or any noodle of your choice), bell peppers, carrots and onion in a bowl. Add dressing and toss well. Once complete, serve pasta salad with chicken and remainder of sesame seeds on top.